Tip 1. 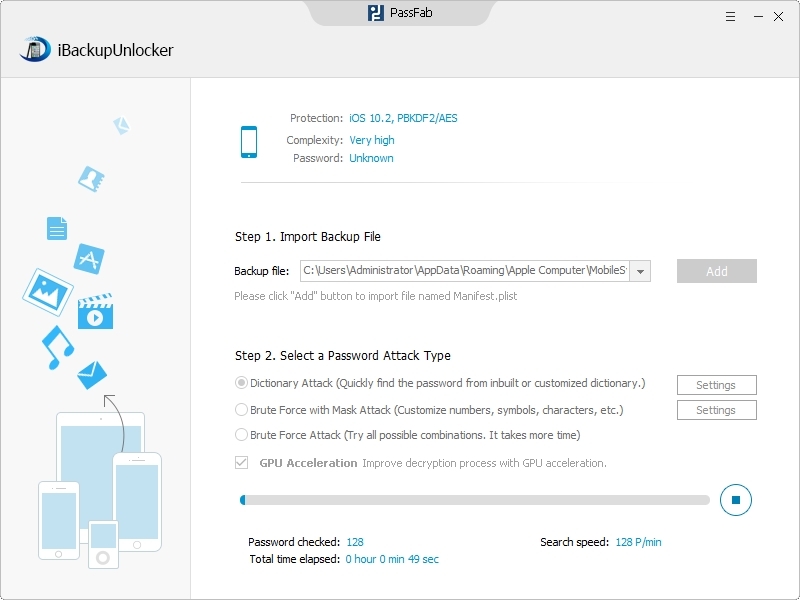 What is Encrypted iPhone 6/6 Plus/5S/5C/5/4S/4 Backup? When you back up your red iPhone 7Plus/7/SE/6/6 plus/5S/5C/5/4S/4 in iTunes, you may choose a password protected iPhone backup files. This password is so-called iTunes backup password. 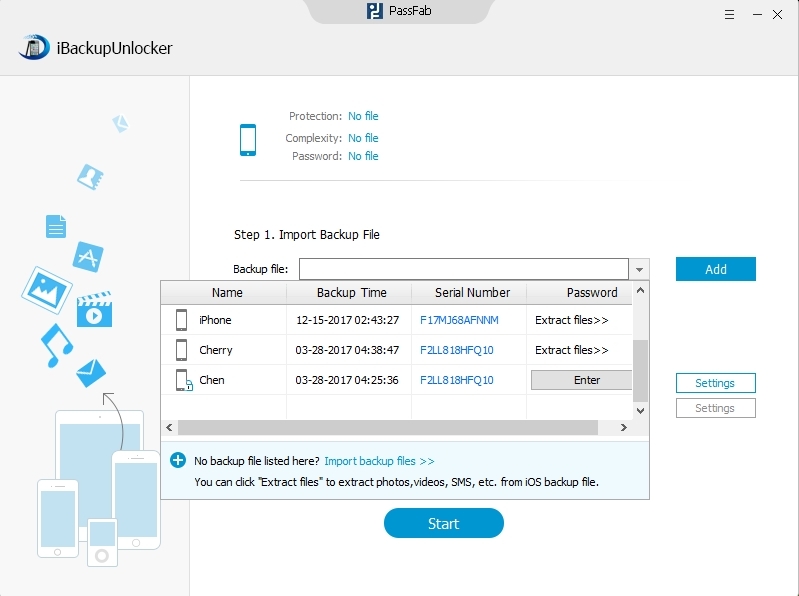 Every time you try to restore from your iPhone backup afterwards, you will be prompted to enter the password to restore iPhone backup. Tip 2. Why is the Encrypted red iPhone 7/6/6 Plus/5S/5C/5/4S/4 Backup Password Necessary? With this encrypted iPhone backup password, you can take security of your personal information. And it can also prevent other malicious people from accessing to your computer to restore your backup file. Tip 3. 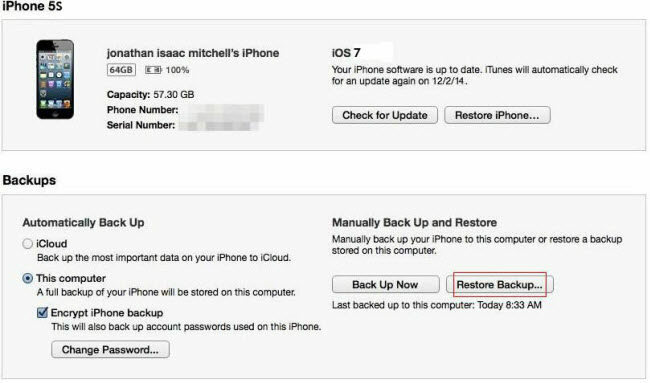 What Matters if you Forgot Encrypted iPhone 6/ 6 Plus/5S/5C/5/4S/4 Backup Password? Tip 4. 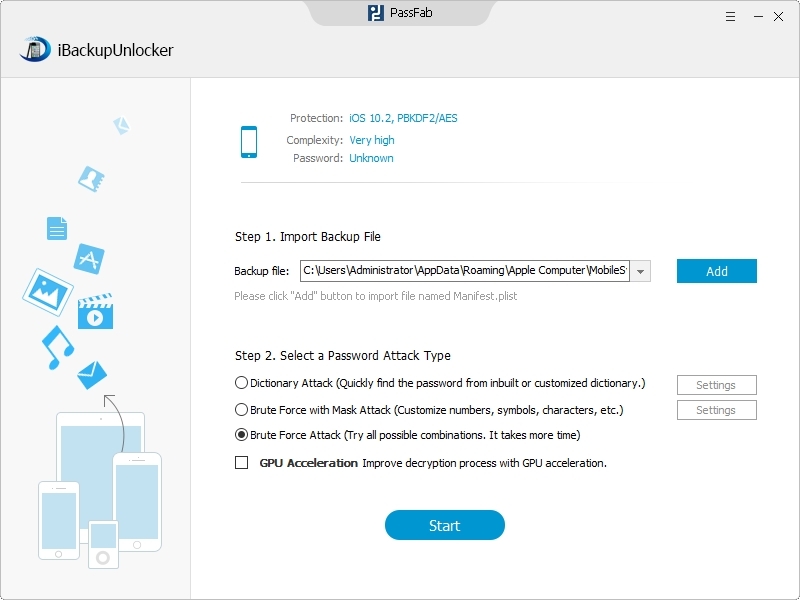 How to Recover Encrypted iPhone 6/ 6 Plus/5S/5C/5/4S/4 Backup Password if you Forgot? To get back the access to restore from encrypted iPhone 6/6 Plus/5S/5C/5/4S/4 backup, you should crack the iTunes backup password first. Here are the tutorials for you to recover encrypted iPhone backup password with the best iTunes Backup Password Recovery. Tip 5. How to Restore from Encrypted iPhone 6/6 Plus/5S/5C/5/4S/4 Backup? After cracking iPhone encryption backup password with iTunes Backup Password Recovery, you can restore the file from iPhone 6/6 Plus/5S/5C/5/4s/4 backup in iTunes with great ease. Thus make sure you have remembered the decrypted iPhone backup password. 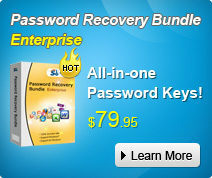 Or turn to iTunes Backup Password Recovery for help to retrieve encrypted iTunes backup password.